Financial Advice China? – Do you live and work in China? Looking for European regulated international portable financial advice? Are you an Expatriate or International, working in Shenzhen, Shanghai, Guangzhou or Hong Kong? 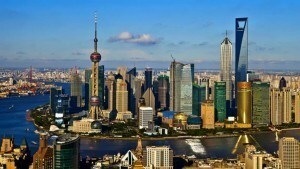 If you are specifically looking for professional expat financial advice China, we are here to help. We are experienced and familiar with assisting expatriates with financial advice China, living and working outside of their country of origin, to address their individual financial planning and investment needs. Therefore, we are cross-border international specialists, with advice provided globally from a UK regulated base. Wondering how to transfer or consolidate your UK pensions (including UK frozen pensions)? For this reason, we offer QROPS (Qualifying Overseas Pension Schemes) and SIPP (Self Invested Personal Pensions) financial advice China. Why choose Harrison Brook for financial advice China? Specialists in dealing with expats in China. To learn more about Expat financial advice China, try our revolutionary online advice service, ‘get started‘ today for free, no obligation, financial analysis, and information. Therefore, you can speak to one of our advisers instantly or schedule an appointment to understand how we can help you while you live and work in China.